If you’re baseball card collector, then get ready for some absolutely incredible news. The world-renowned card manufacturer Topps just announced that it will be producing a limited-edition set of Hall of Famer baseball cards that include each legendary player’s stance on the controversial issue of abortion. This is definitely something that collectors everywhere are going to want to get their hands on! The new Heroes of the Game series will include a complete list of every Hall of Famer’s career statistics, what they believed about the controversial issue of abortion, and a rundown of some of their most notable achievements throughout their baseball career. Just take a look at some of these incredible new cards! They’re definitely a collector’s dream! These look completely amazing! It’s a perfect way to look back on the incredible history of baseball and the wide-ranging opinions about abortion that the sport’s greatest players held during their careers. Topps has even announced that if a player switched stances on abortion, such as Willie Mays, who was staunchly against all forms of abortion at the beginning of his career but became a radical supporter of a woman’s right to choose after he won the MVP award in 1954, their baseball stats will be split up into pre- and post-epiphany. Topps is really sparing no expense to make this collection of cards as complete and detailed as possible! 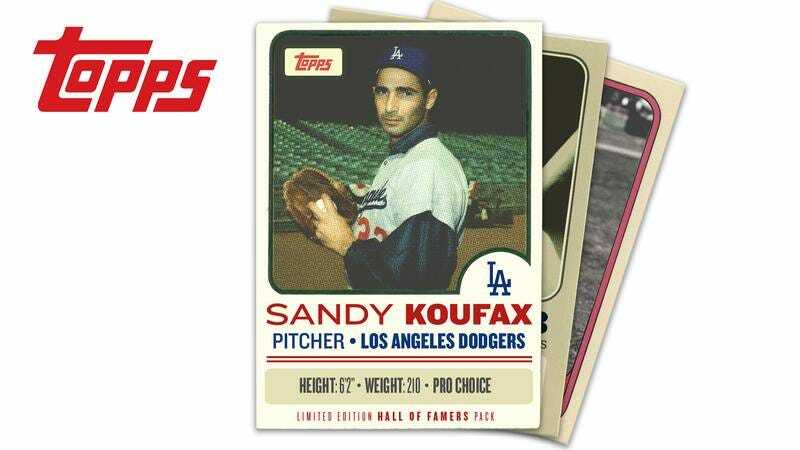 Whether you’re a lifelong, obsessive collector of baseball cards or just a casual hobbyist, you’re definitely going to want to check out Topps’ new Hall of Famers series. There’s never been a better way to remember the greatest players who ever lived and keep track of their views on abortion. We can’t wait to get our hands on a set of our own!